The Passivhaus Standard is recognised internationally as the world’s leading quality assurance standard for low energy buildings. Unlike conventional buildings, those buildings that are designed, constructed and certified to the Passivhaus Standard have repeatedly been shown to perform “as-predicted” because they have rigorously adhered to stringent quality assurance standards. 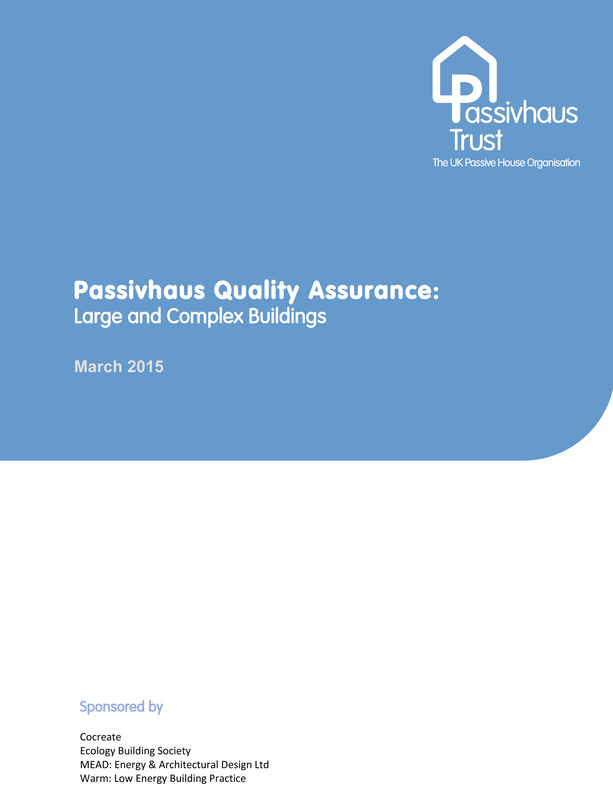 The need for this guide has arisen from the rapid growth of the Passivhaus Standard within the UK and the recognition that with the increased volume, scale and complexity of building projects that it takes an increasingly well structured quality assurance system to maintain the required standards of design and construction. This paper was written by Mark Siddall, LEAP on behalf of the Passivhaus Trust, with input from the Passivhaus Trust Technical Panel. The Passivhaus Trust would like to thank the sponsors for making this publication possible.